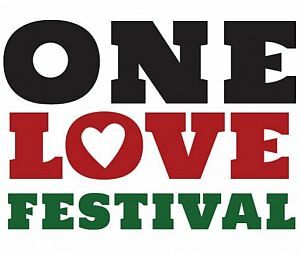 The Overjam International Reggae Festival, taking place each year in Tolmin Slovenia. 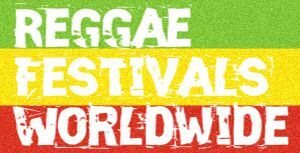 Reggae lovers from across Europe come to enjoy the event each August. More than 100 artists from 14 different countries will perform on three stages, with a preparty on August 15th and an afterparty on August 20th. Extra activities: the Overjam University has been confirmed again, with conferences on “Women and commitment on the 21st century”, “Healthy food and hemp seeds” and “Refugees”. Overjam 4 Kidz, the special area dedicated to children, will be organized again as well: there will be many activities for kids on the Soča riverside in four different languages. Overjam Festival Tickets are available for a discounted price of 79€ until June 20th, then they will be sold at 89€ until August 10th, and at 105€ from August 11th and at the box office. The daily tickets cost 25€ on pre-sale. All types of tickets can be purchased on the website. Free camping close to the wonderful Triglav National Park is included. There will also be a bus service to and from the closest Italian airports, as well as coaches from Switzerland. All information on how to arrive is available. The programme of the Overjam International Reggae Festival’s fifth edition is now complete with the arrival from Jamaica of The Congos’ unique roots sound and Assassin aka Agent Sasco’s dancehall music. The Congos are a vocal group formed by “Ashanti” Roy Johnson, Cedric Myton, Watty Burnett and Lindbergh Lewis. They have been active on and off from the mid-1970s until the present day, and are best known for their album Heart of the Congo, recorded with Lee “Scratch” Perry. Jeffrey Campbell, better known as Assassin aka Agent Sasco, is a singjay and dancehall artist. His career began in 1999 when his lyrics were recorded by Spragga Benz as “Shotta”. In 2000, he released his first single, Wah Gwaan. The Congos, Agent Sasco and Stylo G will be the ones to perform on the main stage for the finale on August 19th. Marcia Griffiths, Mungo’s Hi FI with Solo Banton and Lion D will perform on August 16th; Tarrus Riley, Dean Fraser and Alaine on August 17th; Kabaka Pyramid, Cali P and Soom T on August 18th. After the concerts, it’s time to dance on the beach all night long with Jamie Rodigan (Sir David’s son), the Japanese Yardbeat, Parly B, Asher, Bizzarri Sound, Iniman (Caveman Sound), Fleck, Moa Anbessa, Roots in Session, King Earthquake, Rakka, I-Shence and many others.